TUCSON – The next generation of space telescopes will launch next year, and two Arizona scientists helped create critical instruments attached to the telescope that they hope will detect the beginnings of the universe. The James Webb Space Telescope will launch from French Guinea, the culmination of a joint venture between NASA, the European Space Agency, the Canadian Space Agency, various private space exploration companies and University of Arizona scientists. The telescope is ambitious in its design, its goals and its launch. It will go farther into space and capture more information than any other space telescope so far. Workers will have to fold it up to fit in the rocket because its 18 beryllium-gold mirrors are larger than its rocket. Essentially, they want to see whether there’s the potential for life on other planets. 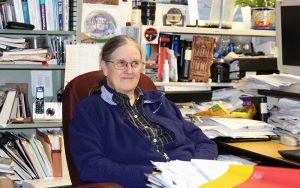 Marcia Rieke and her husband, George Rieke, are regents professors of astronomy at the University of Arizona, and they have spent the past decade of their lives on this project. The two have led separate teams that built cameras on the Webb. Marcia Rieke was the first of the two to submit a bid for a contract. It turns out NASA did want both projects, but they had a caveat for him: If funding dried up, they would have to drop his instrument. George Rieke said that just made him and his partner, Gillian Wright, work harder. 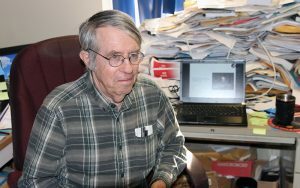 George has built infrared telescopes since 1976, but the Earth’s ambient heat hindered his work. With the Webb launching into an orbit farther than other infrared space telescopes, it will nearly eliminate that interference, he said. 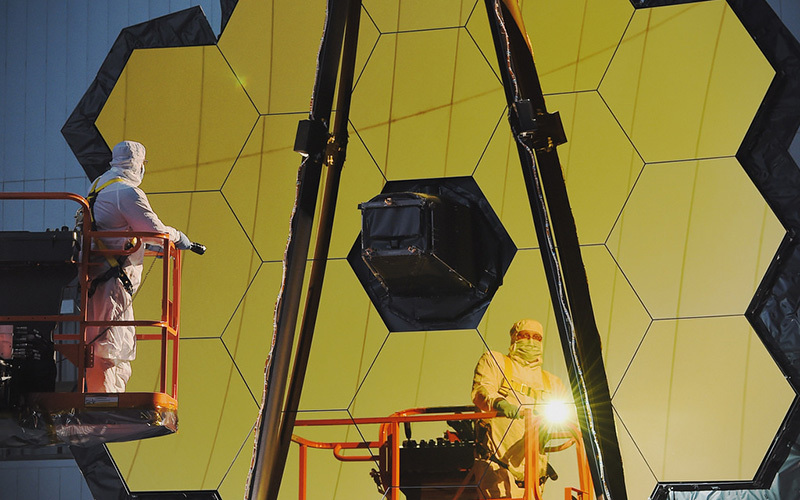 Originally called “The Next Generation Space Telescope,” the Webb has been likened to the Hubble, the world’s most recognizable space telescope. However, experts said there are key differences. 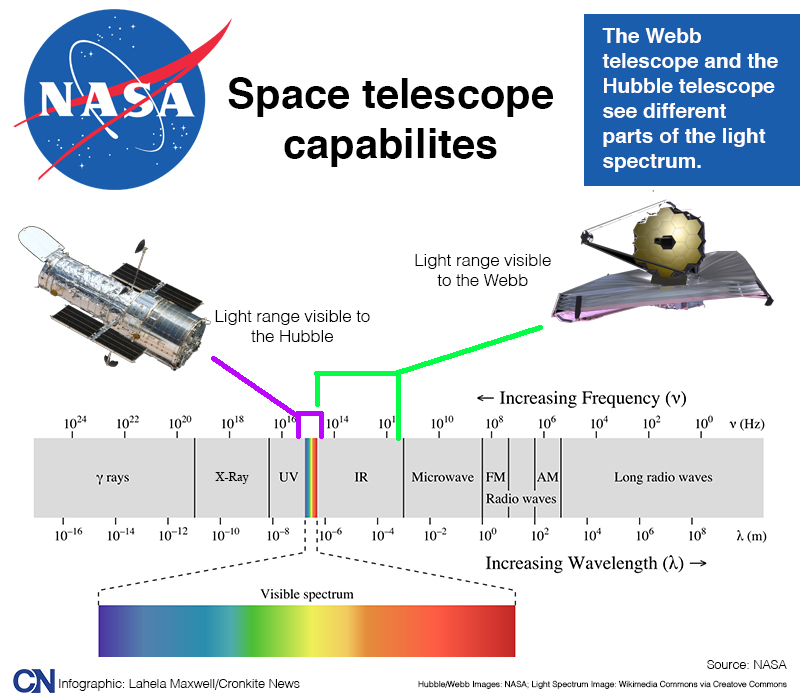 The Hubble and the Webb are engineered to perceive different ends of the light spectrum: The Hubble sees purple light, and the Webb will see red light. The Hubble also resides in low-Earth orbit, which means scientists periodically lose contact with it as it moves around the Earth. The Webb is set to orbit the sun instead, so it remains in constant contact. Scientists believe that light from the far reaches of the universe eventually stretch out and move into the infrared end of the spectrum – that red-light area – because of the constant expansion of the universe. That means the Webb will see farther out into space. Marcia Rieke’s instrument, the Near-Infrared Camera, will be able to take pictures the Hubble never could. The Webb will provide that extra information. George Rieke’s instrument, the Mid-Infrared Instrument, reaches a range past his wife’s camera. This opens up the possibility for MIRI to capture even more, such as stars being born in gaseous clouds of dust and hydrogen. The Riekes said the Webb also utilizes a unique cooling system that will allow the telescope to reach a similar temperature as open space. That’s important because these cameras will pick up ambient heat from Earth, the sun and itself – and that clouds the readings. “You need to be sure that it’s seeing (infrared) light from dim, distant objects, not from itself,” Marcia Rieke said. The project not only boosts the university, it also helps the aerospace industry, they said. Several other companies provided parts for this project, ranging from lenses, chips, bearings and exotic metals such as beryllium. “The number of companies that we have bought stuff from is … large. Ten big companies, and at least a hundred little ones,” she said. Her team used companies from across the country, including Arizona companies and the University of Arizona machinist shop. Currently, both Marcia and George Rieke’s instruments are attached to the Webb telescope at the Goddard Space Flight Center in Maryland. They’re going through vibration testing to simulate rocket launches. Later, it will be delivered to the Johnsons Space Center in Houston, Texas, for further testing. The telescope is set to launch in October 2018.